In a twist on last week’s episode of Slasher Studios, Kevin Sommerfield and Steve Goltz went over their picks this week for the horror movie characters that should have lived. These were likable, intelligent horror characters that sadly did not make it to the end credits of their respected slasher film. Click on the link below to listen to an archive of our show. Let’s be honest here, “Halloween 6” makes a lot of mistakes (too many characters, inconsistent editing, a dismal ending…). Not bringing back Danielle Harris to play Jamie was near the top of the mistake list. But, who can blame Danielle for not wanting to return after her character is killed off a mere ten minutes into the film. The storyline her character is given (the druids have kidnapped her and artificially inseminated her with Michael Myers’ sperm?) is too ridiculous for words. Her character deserved more than this and seeing her die tragically trying to save her child is just an insult to fans. Alice was the original final girl of the original “Friday the 13th” and deserved more in the sequel than just an extended cameo. Hell, her character is died before the main credits have even hit the screen. She was a fighter and not even having a chance to defend herself in her own house while frightening, felt a bit like a cheap blow. She is the only actor in the entire series to come back for a future installment and to later be killed. Maybe the “Friday the 13th” crew learned their lesson with this one. Kristen was a survivor, the very last of the original Elm Street kids, and she is killed off trying to protect her best friend. Heroic? Yes. But something more should have been done with this character. The series never quite recovered handing over the reigns from Kristen to Alice and Alice just felt like a weak replacement. Note to filmmakers, bringing back your survivors just to kill them in the opening scenes of the next film doesn’t add anything to these characters. We have grown to love them. Both the characters and the audience deserve a bit more respect. On last week’s show I mentioned that Karla was a poor Helen replacement and that girl actually lived through the sequel! Helen is a fighter and she is given one of the best chase scenes of the 1990’s through an eerily vacant department store. The chase is scary as hell and the audience just knows that she will survive to the end. Sadly she is killed just moments before getting help. The movie pulls the rug from underneath the audience and shows that anyone can die. I wish she would have lived but at least she acted intelligently and did everything in her power to survive. Here we have it, the single biggest mistake the “Halloween” franchise made. Rachel was smart, resourceful, brave, and extremely intelligent. I would go as far to say that she is the most likable character in the entire series. So it makes sense to kill her minutes into the fifth installment while she acts like a complete idiot. Taking a shower while there might be a killer lurking around? Walking around with a towel on? This is not the Rachel that fans have come to love. She gets scissors in the chest and the movie never recovers. Also, the less said about Tina, the better. 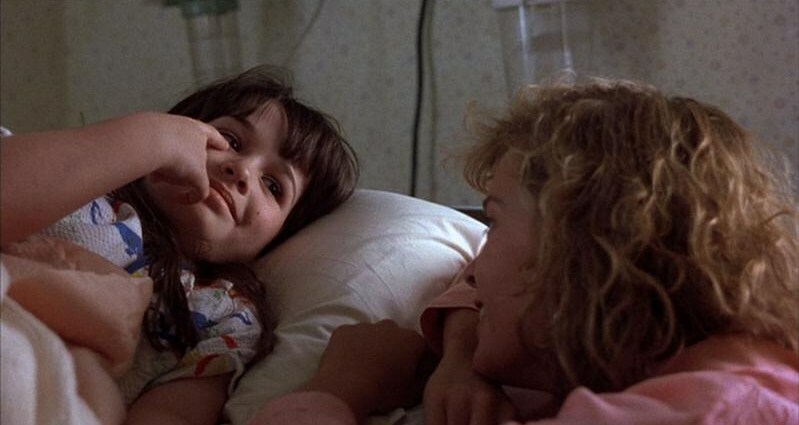 NOTE: Nancy from Nightmare on Elm Street 3 would definitely be my number one but I decided to leave her out as I included her as number one on our other death list.